Club Prophet Systems, the world’s leader in golf management software, announces the first-ever CPS National Users Conference to take place on January 19, 2020 in Orlando, Florida. The event will join the exciting lineup of pre-conference events leading up to the PGA Merchandise Show. “With the PGA Merchandise Show now combining with the NGCOA Golf Industry Show, the opportunity for everyone to meet in 2020 was too good to pass up. With 27 years in business and an international and ever-expanding user base, I look forward to bringing customers together, sharing our company’s latest technology, and seeing what we can learn from each other,” said Tom Robshaw, CPS President. The CPS National Users Conference will provide hands-on learning and breakout sessions about CPS software and integrations, along with plenty of peer networking opportunities. Attendees will see the newest CPS software available and a variety of integrated vendors with golf tech solutions. The event will be eligible for PGA MSR certification credits. “The timing of the event on the Sunday immediately preceding the trade show is the perfect setup for attendees to enjoy the enormous breadth of professional networking, educational and social activities taking place in Orlando at that time,” said Scott Merchant, CPS Chief Growth Officer. 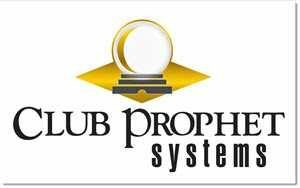 The conference is open to current users of the Club Prophet System suite of golf course management software. To see if CPS software would be a good fit for your facility, contact the CPS team at 800-793-1872 or sales@cps.golf or request a free online demo.